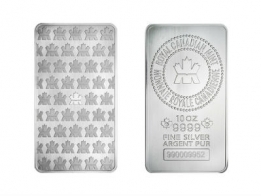 The 100 Ounce Royal Canadian Mint silver bar comes as either and extruded or minted bar, and may be supplied as either. Each bar features the an image of a Canadian Maple Leaf, with the weight, fineness and serial number of the bar on the front. The Royal Canadian Mint is most famous for producing the Maple Leaf coin, which is available in gold, silver, platinum and palladium. 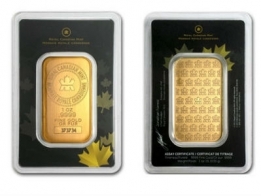 However, the Royal Canadian Mint also produces silver bars and gold bars, which are equally popular amongst precious metals investors. 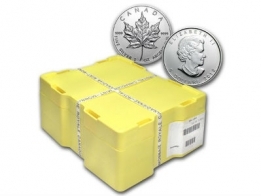 These bars are very popular with investors looking to buy silver bullion in large quantities. They carry a low premium due to the relatively low manufacturing costs per ounce, and are recognised and traded easily. 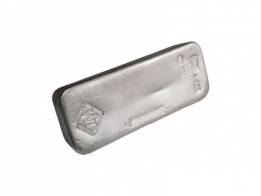 These 100 Ounce silver bars are also a popular choice with individuals looking to diversify a precious metals portfolio into silver. View today's silver spot price. To sell Royal Canadian Mint silver bars, please contact us.